“There is no revolution without songs”, is the saying that emerged during the Chilean revolutionary movement of the 1950s. Today that saying epitomises the struggles of many different groups in our society who are marginalised and ostracised by our social, cultural systems and laws. And it is the pentatonic scale that formed the basis of Gospel music when African slaves were singing songs on cotton picking farms in colonial America. And the call and response which has become a staple aspect of Gospel music, is said by the community organiser and preacher Mark-Anthony Middleton to not just be a musical technique or idiom, but “an affirmation of our humanity”. It is a reminder that you and I are both alive and in the struggle together. In Gospel music we find a history, A STORY of solidarity and struggle, sorrow and grief, of yearning and working for change and of joy. And it was Eric Dozier who said, “these songs were meant for everyone.” If this is the history of Gospel music, who wouldn’t want to sing its songs? After a positive reception to a solo in choir in his final year of primary school Andrew had all the encouragement he needed to keep singing. He started having singing lessons at 14, completed Music for his HSC and went onto complete a Bachelor of Music majoring in vocal studies. 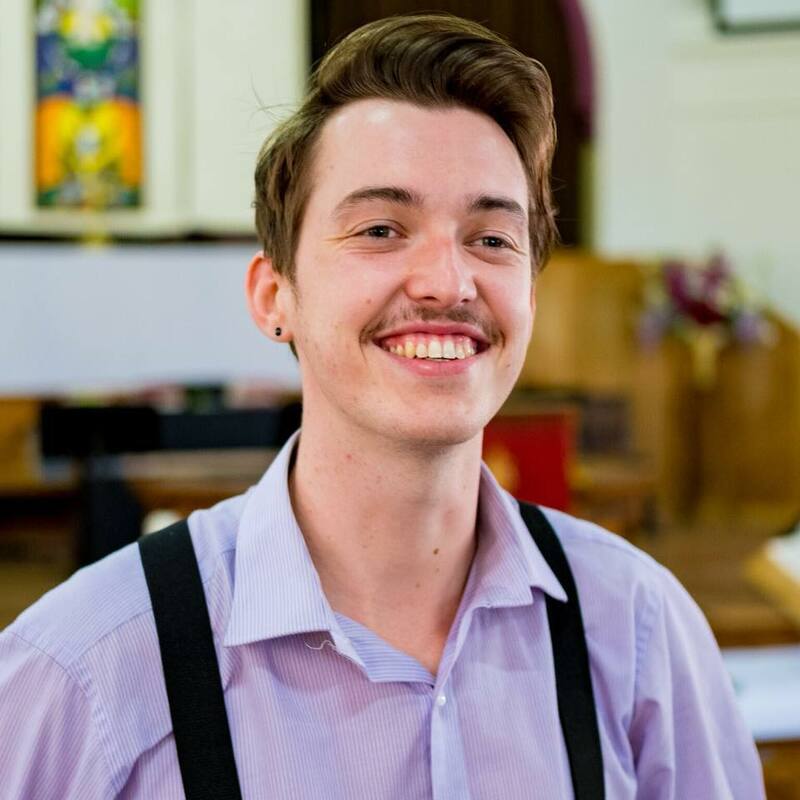 Andrew has performed in community musical theatre productions and choral symphonies all over Sydney. He is also a songwriter and singing teacher and is obviously super passionate about the history of Gospel music.